They don’t actually keep your ears warm – but have an aura of warmth that felted wool tends to do. I do love felt – and there is plenty of felt goodies to choose from. 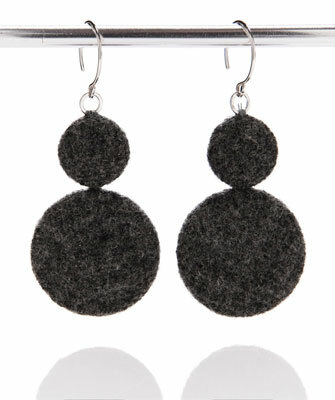 Anyhoo..Amy’s wool earring are a fabulous nod to the winter weather.